A text, then, is a communicative act with matter (propositional content) and energy (illocutionary force). … It is important to acknowledge that authors may intend to communicate complex, multilayered intentions. "What do you mean?" he [Gandalf] said. "Do you wish me a good morning, or mean that it is a good morning whether I want it or not; or that you feel good this morning; or that it is a morning to be good on?" 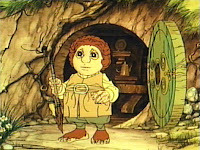 "All of them at once, " said Bilbo. And a very fine morning for a pipe of tabacco out of doors, into the bargain." "Good morning! We don’t want any adventures here, thank you!" "What a lot of things you do use Good morning for!" said Gandalf. "Now you means that you want to get rid of me, and that it won't be good till I move off."